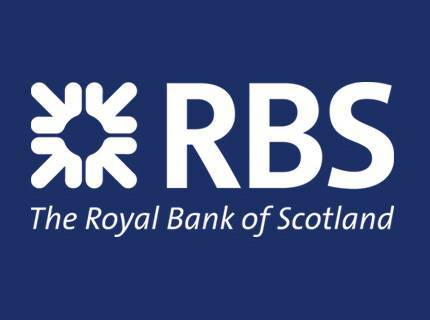 Meanwhile, back in the world of banking ... without much press attention, RBS is trying to get away a fair-sized cash tender, offering to buy back a bunch of relatively high-yielding debt and prefs at a very significant discount – 40% or more - to face value. They do this at the same time as they declare a 2-year freeze on payment of coupon, as they undertook when they entered HMG’s Asset Protection Scheme. Why would anyone sell up at such a discount, when (a) the amount of coupon they will be foregoing is a fraction of this, and (b) they’ve been able to sell in the open market at roughly the same discount for months ? (Today they are trading higher than the tender price.) The nadir of their market value – around 80% discount to face value - was of course March ’09, since when the improvement has all been to do with improvement of fundamentals. So unless you see a decline in fundamentals from this point … Let’s see how this tender goes over the next couple of weeks. Also on the RBS front - they may be suing Goldman Sachs for the payout they had to make in respect of insurance ABN-Amro had written on one of those *odd* product packages GS put together in conjunction with their shorting clients ... Isn't the real story how shockingly bad was RBS due diligence over the ABN-Amro acquisition ? We said (several times !) this was a crazy deal when it happened, and nothing that's come to light subsequently changes the position: by mid '07, Fred the Shred had completely lost it. Sue away, chaps - but it'll be embarrassing in court. This sounds tricky, or is it that the fog is coming down again? RBS or someone keep writing me about a loan they can't show I ever had with them, as they can't produce any copy of a credit agreement. Thats a breach of the law. I suspect this is similar on a larger scale. Keep it up Mutley, you will never have to pay on a loan you never had. CU said: "Keep it up Mutley, you will never have to pay on a loan you never had." Unfortunately I am having to pay for Brown's loans that he has used to bribe other people to vote for him. Also Fred was one of Brown's mates, so it is no wonder he was as bad at running RBS as Brown was at running the UK economy. 2 years ago I would not have dreamed of blowing out a loan because someone couldn't find the paperwork - now it is second nature, I learned that from the banks...Its not my problem if someone gets the sack anymore than its theres when they used to phone me 15 - 20 times a day. Can't do that now due to the harassment act..